Summer in Chicago means you’re guaranteed at least two things: happy hours on patios and a music festival practically every weekend. Maybe it’s the long-awaited warm weather, or the city’s deep-rooted musical history (it’s spawned icons from Sam Cooke to The Smashing Pumpkins, to name a couple), but after Memorial Day, indoor venues just don’t cut it. Whether you’re into jazz, house, alt-punk, or country, we’ve rounded up all the Chicago music fests you won’t want to miss. Get ready for three full days of blues when the 35th annual Chicago Blues Festival takes over Millenium Park with non-stop, free performances across four stages and over 500,000 fans in attendance. On Friday, catch a video tribute to the oldest independent jazz and blues label, Delmark Records (est. Chicago, 1958) and its founder Bob Koester, who helped launch the careers of Buddy Guy and Junior Wells, among others. Saturday features a tribute to legendary singer/songwriter and harmonica extraordinaire Little Walter; while Grammy-winner Mavis Staples will close out the fest on Sunday night by taking you there. Parking is available at Millennium Garages, right next to the park (which is worth it, since you’re not paying for this sweet lineup), and food will be for sale all day (though the vendor lineup is still TBD). Permitted items at this all-ages fest include folding chairs, blankets, and sunscreen, so go ahead and bring the kids and set up camp for the day. 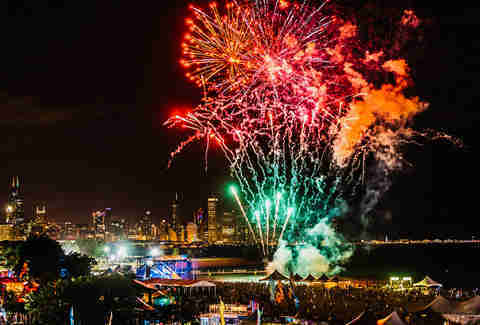 The largest dance music festival in the Midwest returns to Addams-Medill Park in June and this year’s Spring Awakening lineup once again gathers the best EDM acts from around the world (Canada, Guatemala, and more) right in the heart of Chicago. This 18+ festival offers single-day and three-day GA tickets ($79 for Friday or Saturday, $69 for Saturday, and $199 for the whole bundle), or you can spring for VIP: For $50-$60 more on single-day tickets, you get access to express lanes, premium viewing areas, and VIP bars (but you have to be 21+). Alcohol is served, but heed the organizer’s warning: “All the non-stop dancing and vigorous physical activity can lead to dehydration and overheating.” Stock up on sports drinks at the festival’s concession stands or bring your own refillable water bottle to keep you dancing until the gates close. You don’t typically think “tropical” when you think of Chicago, but Mamby on the Beach isn’t your typical festival. 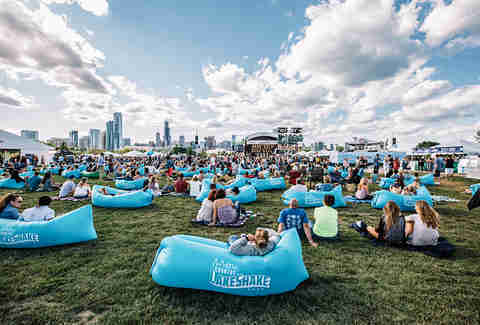 It’s the ONLY Chicago fest that takes place on the sand (Oakwood Beach, to be exact), which makes the ticket price -- $99 for two-day GA or $69 for single-day passes -- feel like loose change compared to a resort vacation. 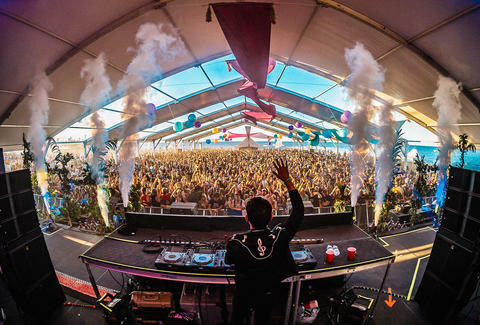 The organizers, React Presents, are committed to the beach vibes, specifically selecting artists that pair well with the atmosphere (like St. Lucia and Grizzly Bear), as well as offering non-musical events. Attendees can take a break from the stage to participate in yoga, poetry slams, water balloon fights, and a silent disco. There’s also a variety of food from local vendors and tons more. We know where you’ll be this month. Chicago is the birthplace of house music, and for the past 28 years, it’s been the home of The Chosen Few Picnic & Festival, too. In the late ’70s, Chicago DJs started mixing up disco, electronic music, and drum samples to create a new genre, and in 1977, DJ Wayne Williams collected a group of those folks to form the Chosen Few DJs, one of the first collectives that defined the house sound. In 1990, the group started a reunion picnic in Jackson Park on Chicago’s South Side, and it soon turned into an annual public event in celebration of house music. 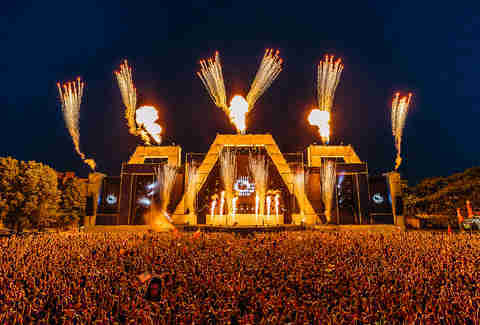 The massive gathering now draws over 35,000 attendees each year, and despite being dubbed the “Woodstock of House Music,” the event aims to keep that “family picnic” feel. That means charcoal grills are allowed inside the grounds, tickets start at just $40, and kids under 12 get in for free. As it has for 13 years, the third weekend in July belongs to Pitchfork Music Festival, which brings together dozens of new & emerging artists, 50 vendors, plus record & craft fairs in Union Park. The headliners are hot -- Aussie rocker Courtney Barnett, Lauryn Hill (celebrating the 20th anniversary of The Miseducation of Lauryn Hill) -- and the ticket prices are kept low: three-day passes cost just $175, single-day passes are $75, and +PLUS passes (which include specialty food/drink & air-conditioned bathrooms) are $375. Union Park is easy to reach via the L; the closest train stop is Ashland Station (and the CTA usually increases bus and rail service over festival weekend). Also, know before you go: Outside food, professional cameras, lounge chairs, and selfie sticks are forbidden, but feel free to bring sealed bottles of water, sunscreen, sunglasses, and small backpacks. Pro tip: Pack an extra battery for your phone -- you don’t wanna lose your friends jumping back and forth between stages. On their own, Lollapalooza’s headliners (The Weeknd, Bruno Mars, Jack White) would be selling out arenas, but here, you can see them all in one spot (Grant Park). With eight stages and plenty of indie acts, there’s a little something for everyone (and you’re pretty much guaranteed to run into someone you know). A fest this big doesn’t come cheap: Single-day GA passes run $120 and the $335 4-day GA passes are already sold out. So if you’re looking to catch the full festival, you'll have to try your luck on the resale market, or ball out and go VIP, where 4-day passes cost a whopping $2,200 for access to special viewing platforms, private bathrooms & lounges, and other luxury perks. Since Lolla is an all-day experience, pack for survival: reusable water bottles (refilling stations will be around the park) and sunscreen (no aerosol cans, though) are a must. No outside food is allowed in, so you’ll have to head to “Chow Town,” a collection of 30-plus local food vendors curated by celebrity chef Graham Elliot (last year’s options ranged from vegan tamales to hot chicken sandwiches). It’s basically a food festival with awesome music. A result of three events merged together (one to honor Duke Ellington, the John Coltrane Memorial Concert, and a festival put on by the Jazz Institute), the Chicago Jazz Festival became the city’s official celebration of all things jazz in 1979. Held each year over Labor Day weekend, it’s the perfect way to staycation in the city if you’re not getting out of town like everyone else. 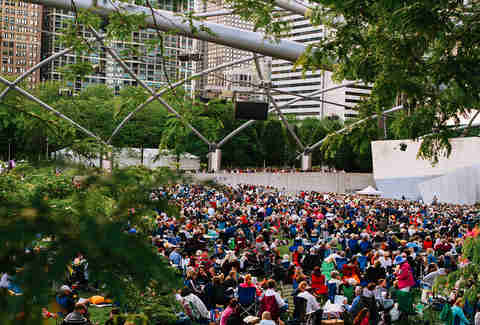 The free festival hosts several jazz concerts at the Chicago Cultural Center and Millennium Park’s Pritzker Pavilion. On the Pritzker main stage, catch headliners like jazz vocalist Kurt Elling, five-time Grammy-winner Dianne Reeves, and funk saxophonist Maceo Parker, who’s played with James Brown, George Clinton, and Prince. Also not to be missed: Chicago native/jazz pianist and composer Ramsey Lewis in his last live performance in the city before his retirement. Held over Labor Day weekend in Union Park, the all-ages North Coast Music Festival, dubbed “Summer’s Last Stand,” helps attendees send off the best season of the year with folk, rock, and hip-hop acts. The three-day weekend will run you just $129 for GA and $199 for VIP -- which is practically unheard of in the festival scene. The Union Park location is super accessible, and once you’re inside, there will be 20-plus food vendors, including options catering to vegan, vegetarian, and gluten-free diets. North Coast is also known for its “after parties,” aka late-night concerts featuring the festival performers in smaller venues. Last year, Gucci Mane played Prysm nightclub on Saturday post-fest -- so keep a lookout for this year’s late-night lineup. For three days of pop-punk, punk-rock, and alt-rock, head to Riot Fest -- where shredding is the top priority. 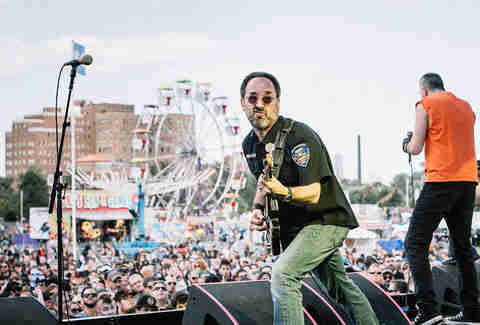 Started in 2005 as a multi-venue festival, Riot Fest is now held exclusively at Douglas Park. Tickets recently went on sale for $160 (for a weekend pass) -- and last year sold out quickly. A cool thing about Riot Fest is that acts occasionally play full-album sets here (so die-hard fans don’t have to listen to the radio hits or the new stuff). In 2017, Dinosaur Jr. played the entirety of You’re Living All Over Me. The first wave of the 2018 lineup includes more than 80 musical artists, with more names still to be announced.